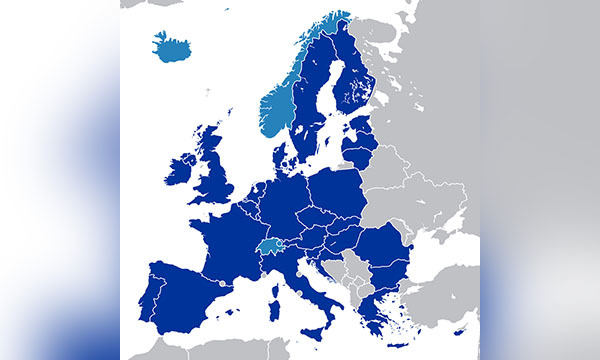 Phone the European Health Insurance Card (EHIC) helpline by dialling their UK contact number 0300 330 1350 to apply for a new card and to check which medical costs are covered in the country you are visiting. Similarly if you would like to renew an existing card after the statutory five-year period or to apply on behalf of a minor you can dial this helpline to reach the appropriate renewals department. Moreover if there has been a change to your personal details, such as moving to a new address, you can phone the EHIC (formerly known as E111) helpline to insure that you are fully covered in the event of an illness or injury whilst travelling in Europe. As some EU and EEA countries do not provide state healthcare you should dial this number to confirm whether you will need an additional private travel insurance policy to cover medical costs where you are visiting. Calls to the EHIC enquiries line are charged at standard UK rates, which typically consist of an access charge followed by a per-minute rate. However calls will be free of charge if you have inclusive minutes as part of your landline or mobile tariff. Lines are open from 9am-5pm Monday-Friday however closures are likely to be in effect during UK bank holidays. Contact EHIC on their international phone number +44191 218 1999 if your card has been lost or stolen whilst travelling abroad so that you are still protected in the event that you require medical treatment whilst in Europe. Customer service advisors will then issue a provisional replacement certificate (PRC) via email or fax which confers the same level of cover as your insurance card. Please be aware that as this is an international helpline you will be charged at an overseas rate which is typically higher than standard UK-only calls, unless you have a roaming package added to your tariff. Lines are open from 8am-5pm Monday-Friday, although closures may be in effect during UK bank holidays. Contact the European Health Insurance Card (EHIC) office on their claims telephone number 0191 218 1999 to recover medical costs incurred due to an accident or illness whilst abroad in Europe. Although access to state healthcare in EU and EEA countries is free for EHIC holders some providers require payment for medical bills upfront, which you can then claim back using your EHIC. Similarly you may be required to pay a share of your medical charges, known as a ‘patient share’, which is non-refundable however you can claim the difference between the patient share and the total medical bill. You can also contact the EHIC (European Health Insurance Card) authority in writing by either sending an email or by posting a letter to their relevant office address. Furthermore they offer a range of social media accounts which you can use to send public messages of enquiry and for helpful tips on how to make a claim against the cost of medical bills. If you would prefer to send the NHS an online enquiry about your European Health Insurance Card (EHIC) you may use their dedicated email address: nhsbsa.ehicenquiries@nhsbsa.nhs.uk. This inbox is available for general enquiries however you are advised to use their telephone or postal services if you would like to submit a new application for an EHIC. You can write to the EHIC authority by posting your application form or claims request to the appropriate postal address provided below. Please note that it may take up to a week to receive a response using their postal services (longer if writing from overseas), thus urgent enquiries should be directed towards their telephone helplines. 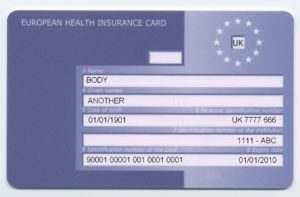 NHS Business Services Authority, European Health Insurance Card, EHIC applications, Bridge House, 152 Pilgrim Street, Newcastle Upon Tyne, NE1 6SN, United Kingdom. Overseas Healthcare Team, Room MO401, Durham House, Washington, Tyne & Wear, Newcastle upon Tyne, NE38 7SF, United Kingdom. You can send public messages to the EHIC office using their range of social media profiles. Here you can also find useful tips on how to make a claim against the cost of your medical bills and how to apply for a new card.